With our pet containment system, your pet may roam and play freely in your yard without escaping. The containment fence will help protect your garden, swimming pool, patio, etc and remind your pet that those areas are off limits. Unlike costly wooden or chain link fences, your dog or cat can’t jump over or dig under our containment fence. Our Indoor wireless pet containment systems lets you make the rules by deciding where your pet can and can’t go. Whether its away from the kitchen island, out of the guest bedroom or out of the baby’s room — we offer solutions for every lifestyle. Our electronic pet containment systems transmit a radio signal through a buried underground wire installed around a custom tailored area. A state-of-the-art lightweight waterproof receiver worn on your pet’s collar picks up the signal. When your pet gets too close to the boundary of the electronic, underground fence, an audible warning reminds your dog or cat not to cross. If the warning is ignored — rare after training — the collar emits a mild, safe stimulation. Along with the installation of your containment fence, one of our trainers will work with you and your pet to ensure that both pet and human understand how the system works. Our underground dog fence keeps your pet contained IN a designated area, such as your yard or OUT of an area like your garden. Our fences are safe and effective for your pet. Our systems offer user-programmable receiver/collars that you can customize for your pet’s personality and training requirements. Fastest Reaction Time: Our receivers offer the fastest reaction time in the pet containment system industry. If your pet challenges the boundary of the underground pet containment system, the receiver reacts before he reaches the wire. Status Light: The status light helps you monitor your pet’s receiver collar. It not only confirms that your pet containment system is functioning properly but lets you know to what training level the receiver is set and when the receiver battery is low. Flexible Training Levels: Fido’s Fences offers a comprehensive range of distinct training levels to accommodate all dog breeds and personalities. This includes an “audible only” option for dogs that need only to hear a warning to learn the boundaries of the underground dog fence. And you can adjust the training levels yourself as needed. Works Well for Cat Containment, Too! : Our electronic fence system works well as a cat fence, too. If you have a dog and a cat? No problem. 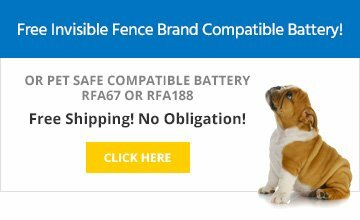 You can use our electronic fence as a cat fence and a dog fence at the same time. And if you have several dogs and cats? No problem. 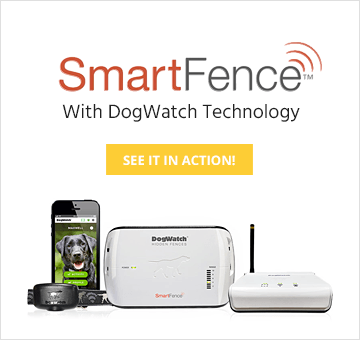 Our electronic fence systems can handle multiple pets. And since no two pets are alike, the collar settings can be individually adjusted to suit the breed, size, age and temperament of each dog and/or cat on the system. Call us now at (888) FIDOS-22 or contact us online to learn more or schedule your Free in-home consultation!